Stratosphere Sound is proud to announce that we have been appointed sole agents for Bubblebee Industries sound tools in South Africa. Bubblebee’s range of top quality products are the choice of sound recording professionals worldwide. 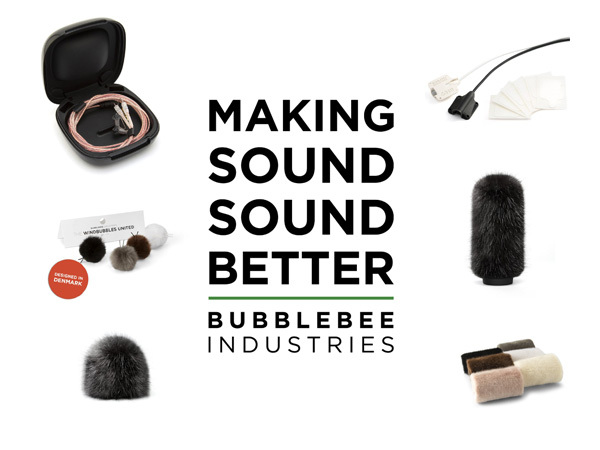 Bubblebee Industries is Making Sound Sound Better by creating the world’s best quality microphone wind protection for serious sound professionals. Along with the Windbubbles, Bubblebee also makes other innovative products for sound designers, like the new Invisible Lav Covers, The Cable Saver and The Windkiller. Visit www.bubblebeeindustries.com to view products.